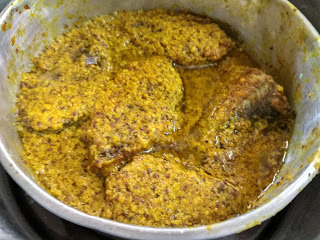 2-With the help of the fingers lightly coat salt and turmeric on the pieces and leave them for 10 to 15 minutes. 3In the meantime get the mustard paste ready. 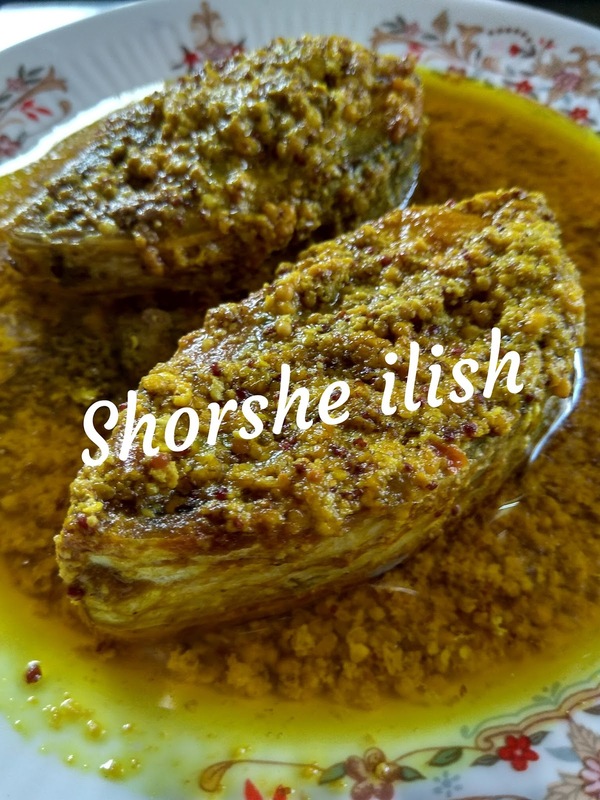 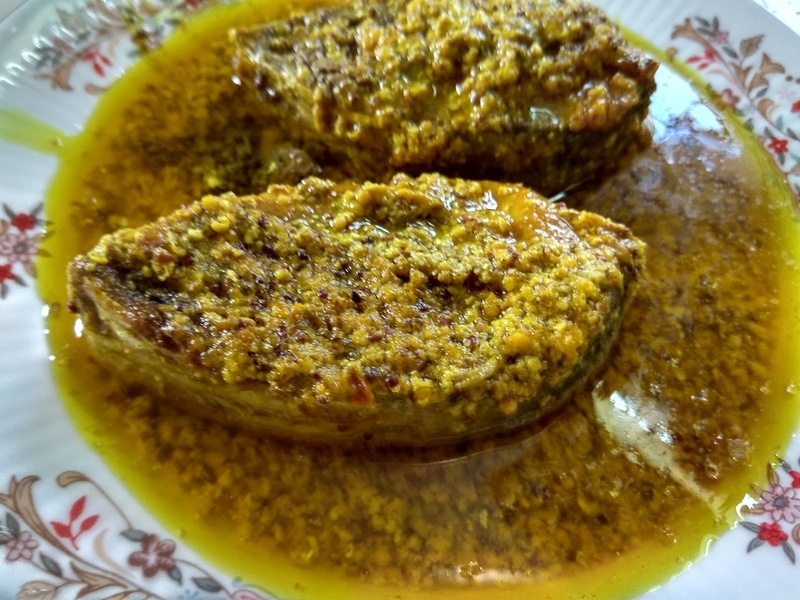 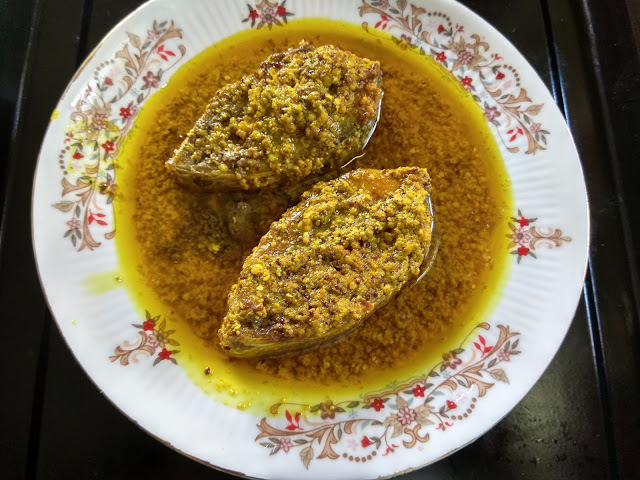 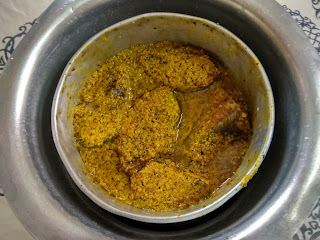 1 -The hilsa is a very delicate fish unlike the rohu or the catla. So it should be handled with care. 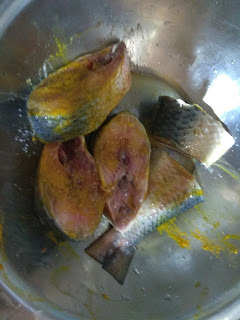 2-The Hilsa loses its flavour if washed too much ,as it starts losing the oil on its skin.